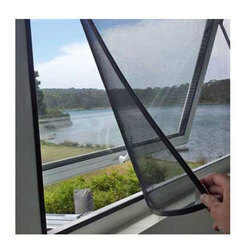 Our range of products include roller insect screen, aluminum frame fiber glass insect screen and window fibre glass insect screen with velcro. We are offering Roller Insect Screen to our clients. 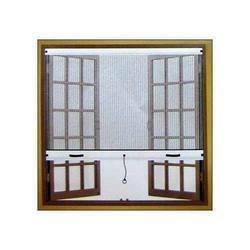 This system allows a person to use Insect Screen as and when required. This system is made of high-quality aluminium capsules. Fibre Glass Insect Screen on Aluminum Frame offered comes woven from permanent glass yarn that is coated with protective vinyl so as to ensure in them superior finish, colour and flexibility. These are also noncombustible and do not rust or corrode. Coming in several different weaves and thread diameters, these are also lightweight and economical. The advantage of Insect screen includes allowing air and light to pass easily and coming in the washable finish. These are also fire-resistant and will not crease like aluminium screening. We are offering Fibre Glass Insect Screen on Window with Velcro to our clients. Insect screen made of Fibre Glass is fixed on windows with velcro. 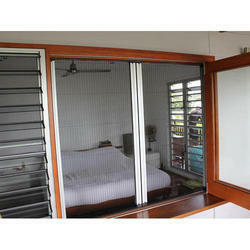 This Fibre Glass insect screen allows air and light to pass very easily and is washable. It is also fire-resistant. Looking for Anti Insect Screens ?